With the exception of MSNBC, the U.S. mainstream has put a block on any reports of what is happening in Palestine. 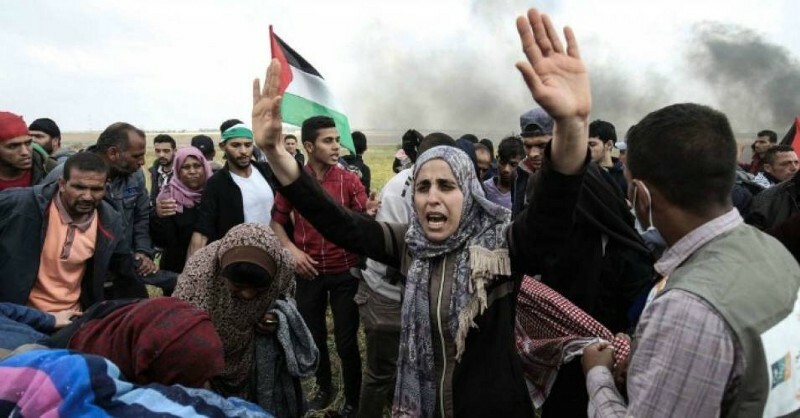 As of today, Popular Resistance reports that as of the second week of Palestinian protest, Israeli forces have killed a total of 29 Palestinians, including the 21 during and after the March 30 protests, which wounded more than 1600 more. Eight Palestinians died on Friday, including one who died of earlier wounds. Starting March 30, some 30 to 40 thousand peaceful Palestinians began their March for the Great Return, a planned demonstration that will continue to May 15, to commemorate the Nakba of 1948 when some 800,000 Palestinians were forced from their homes, and exiled either to Jordan or to the bantustans of Gaza and West Bank. Watch Democracy Now video describing the events of March 30. But, as this segment from Democracy Now shows, Gazans were peaceful throughout the march, despite the killing of more than 17 unarmed Palestinians with shots to the head and upper body, and over 2,000 wounded, including children, with deliberately disabilitating injuries to the knees and pelvis. 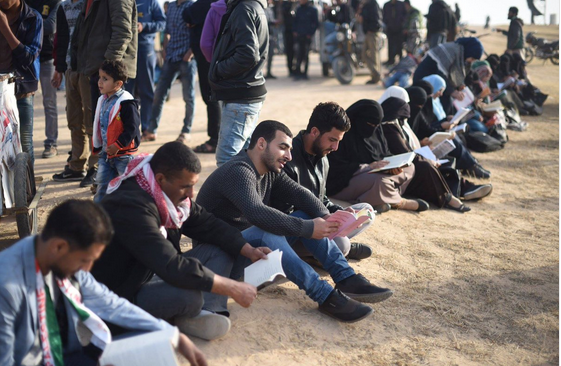 At least two teenagers were shot, including a 19-year-old artist whose dream had been to draw the map of Palestinian lands before the expulsion of 1948 on the sand. In remembering him, his friends realized his dream for him. With a full plate of Republican-inspired domestic Nakbas of our own, why should we be concerned about what happens to Palestinians? 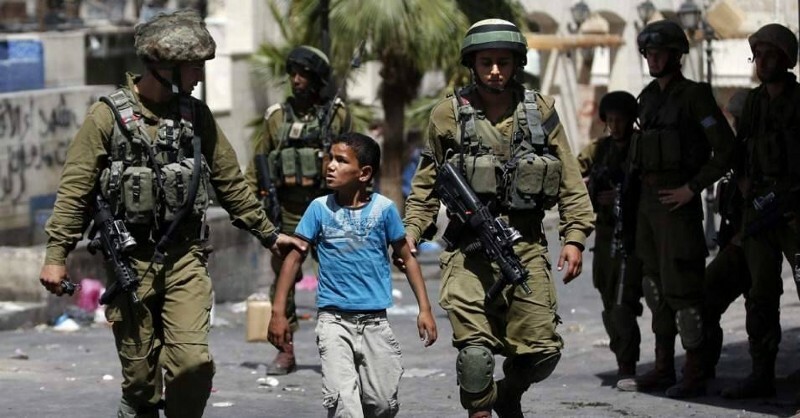 Because the U.S. supports the Israeli military with more aid than it accords to any other nation, with $500 million this year, up $200 million from last year, and with a total $134.7 billion to date. The U.S. bankrolls this genocide. It’s happening on our citizen watch. And because when the Security Council recently called for a thorough investigation of this war crime, the U.S. used its veto to block the inquiry. That’s why. There’s another reason which is less well known. Just as Nazi eugenics as practiced during the regime of the Third Reich were inspired by U.S. programs of forced sterilization (still on going by the way), the ethnic cleansing activities of the IDF are in large measure inspired by the U.S. “Indian” wars, that is, the war against First Nations (still on-going by the way) to clear the land for settlement and corporate pillage. And yet another reason: many U.S. municipal police forces have either travelled to Israel to pick up tips about crowd control or been trained on U.S. soil by Israeli IDF “advisors.” The war against Palestine has its eugenic component as well as Israel targets the capacity of Palestinian women to give birth. We could well ask which tail wags which dog? At the same time, If Americans Knew has released a video showing how Israeli propaganda efforts based both in Israel, and in other countries, including the U.S. are highly organized by using false IPs to re-write both the Palestinian narrative, and whitewash the Zionist program. “Soldier, the order to use lethal force against civilians who do not pose mortal danger is patently illegal. Using lethal force is only allowed when an actual, immediate threat to human life exists, and when there is no other option. 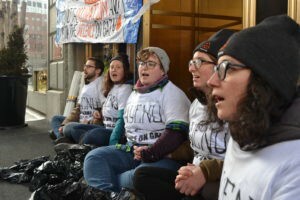 And In Boston, eight Jews chained themselves to the Israeli consulate on the fourth day of Passover to protest the shooting of unarmed demonstrators. Minimally, PM Benjamin Netanyahu, and Defense Minister, Avigdor Lieberman ought to be prosecuted for war crimes. But, like the Sacramento officer who recently killed black victim, 22-year-old Stephon Clark with eight shots to the back while he talked on his cell phone in his grandma’s backyard will undoubtedly walk, world-class assassins tend to get off scot-free as well. Please consider adding your name to the petitions listed below in our TAKE ACTION section. Thank you. Hold Israel accountable for killing unarmed Palestinians in Gaza..
Tell Congress Palestinians have the right to peaceful protest without being shot. Object to the IDF murdering Palestinians demanding their rights. Urge your Representatives to demand the U.S. leave Syria as soon as possible. Sign Daily Kos DOJ petition ejecting Sinclair’s acquisition of Tribune media. Give Marc Moore, ICE Florida field director, a snarky piece of your mind for the barbaric treatment sustained by 91 Somali deportees at the hands of ICE. March for peace April 15th. Eight Boston Jews arrested as they shut down consulate protesting violence in Gaza. Federal judge denies Exxon’s attempt to stop climate fraud investigations. Common Dreams: Three thousand Google employees demand Google end work on Pentagon drone project. Read Google employees’ open letter to their employer decrying being in the business of killing. Federal court rules that the EPA unlawfully denied environmental racism Flint Investigation for DECADES. Jewish Voice for Peace Bay Area announces that community defense won the release of Fernando Carrillo from immigrant detention. Join them one Saturday/month vigiling outside the West County Detention Center, Richmond, California. Common Dreams: Tens of thousands join striking teachers in Oklahoma. Common Dreams: Major cities join 17 states suing to block the #savethecensus citizenship question. Water protectors build longhouse to block entry to Puget Sound Energy HQ. National Redistrict Foundation wins suit forcing Scott Walker to hold special elections to fill 2 vacant state legislature seats. Judge Rebecca Dallet becomes the first progressive to win an open Wisconsin Supreme Court race. San Francisco budget chair supports state matching funds open-source voting request. Common Dreams: FCC commissioner slams agency’s Policies favoring Sinclair-Tribune merger. Common Dreams: Oregon governor to reject any request to deploy National Guard to the Border. United we Dream announces that Austin H.S. student Dennis Sarmiento will be released soon while his case is being decided. City Council of San Antonio, after years of citizen activism, passes ordinance securing safeguards for activists’ right to free speech. ACLU Foundation of NorCal wins suit against the California DMV for violating the motor vehicle voter registration laws. The ACLU is bring suit in the states of Ohio, Kansas, Michigan and Florida as well to insure citizens’ right to vote. California court deals a blow to the state’s money bail system, finding current bail setting practices unconstitutional. Senate Bill 10 now before the legislature would insure that no one sits in jail for being poor. The California values Act becomes law requiring that state and local resources not be diverted to fuel federal attempts to carry out mass deportations. PEN announces the release of Ethiopian writer Eskinder Nega serving an 18-year sentence for criticizing his government. The U.K. is now a Fox-news-free zone.